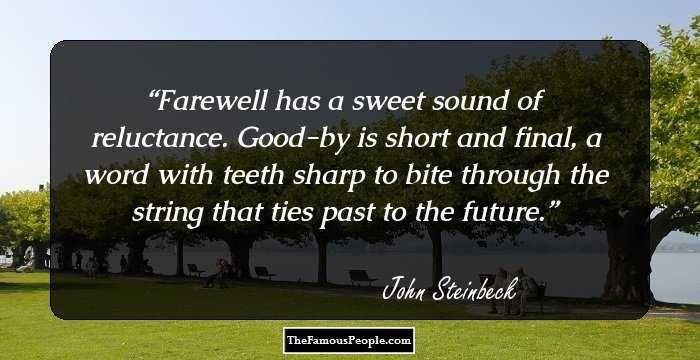 A collection of best farewell quotes and sayings from eminent personalities. ‘Out of Sight is out of Mind’, however, this doesn’t hold true for every relation in your life. Goodbyes are the hardest especially when you know that the person whom you are bidding farewell will not be able to see you anytime soon. Just a thought of bidding farewell to our loved ones can fill us with a sense of bleakness and desolation. When you bid farewell to someone, be it your colleague, your lover, your kith or kin, you usually run high on emotions. However, it is very important to keep yourself composed when you are parting ways with someone and have faith that your paths will someday cross. After all bidding farewell doesn’t mark the end of relationships usually. 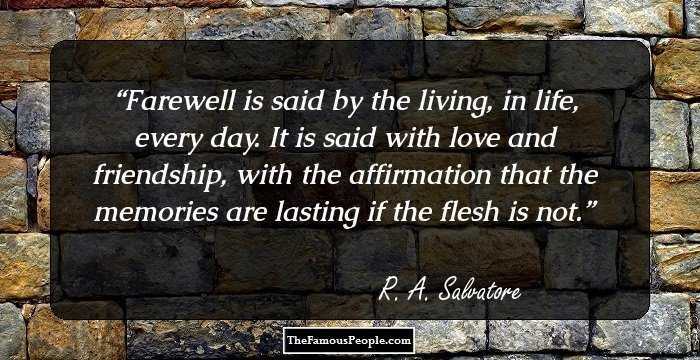 Take a look at the collection of quotable quotes and sayings which you may use in your farewell speech or while you are bidding farewell to someone that will be able to express your feelings in a better way. Zoom through the emotional and insightful quotes and thoughts on farewell that will help you bid goodbye to your near ones with a smile on your face. 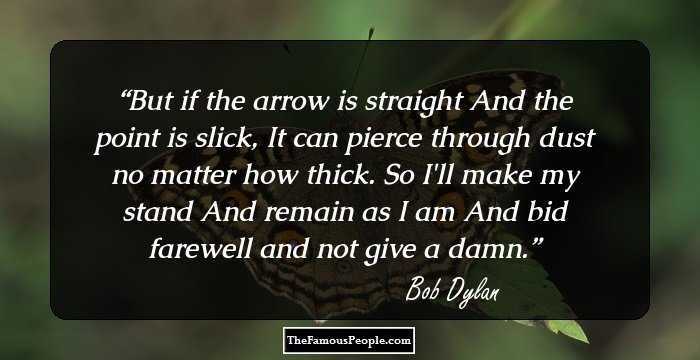 But if the arrow is straight And the point is slick, It can pierce through dust no matter how thick. 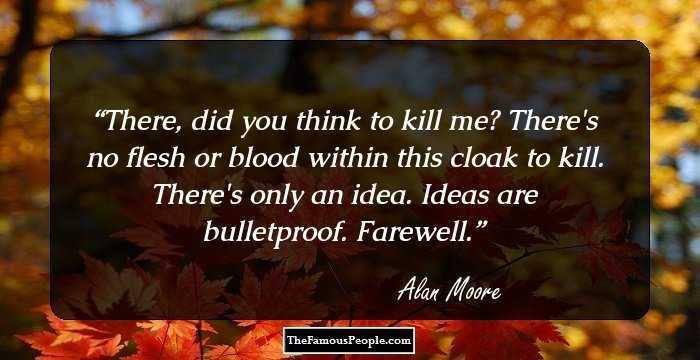 So I'll make my stand And remain as I am And bid farewell and not give a damn. Then, bidding farewell to The Knick-Knack, I went to collect the few personal belongings which, at that time, I held to be invaluable: my cat, my resolve to travel, and my solitude. My spirit will sleep in peace; or if it thinks, it will not surely think thus. Farewell. Love will not be constrain'd by mastery. When mast'ry comes, the god of love anon Beateth his wings, and, farewell, he is gone. Love is a thing as any spirit free. When it's over it's over. No questions, no tears, no farewell kisses. Farewell, I wish our souls may meet with comfort at the journey's end. "- The Heavenly Footman: A Puritan's View of How to Get to Heaven.